British motorcycle industry Association recently released sales data for two-wheeled vehicles throughout 2015. Statistics show if sales increased 12 percent over the previous year. This data shows the total motorcycle sales reached more than 114 thousand units a year. Of that number, nearly half, or 43,700 units of motorcycles were sold with a capacity of 110-125 cc. 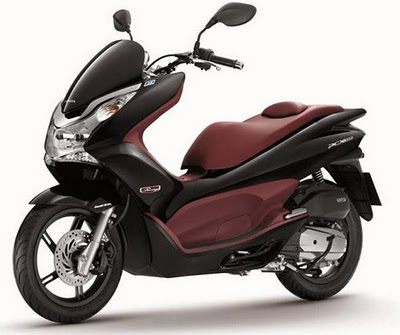 Honda PCX 125 to two-wheeled vehicles with the most sales in the UK in the entry level segment. PCX 125 back into the community’s favorite island nation. As proclaimed Autoevolution.com , mostly motorcycle or scooter bought by commuters. These facts indicate when there has been a shift in where people are now turning to use motorcycles for daily activities. “Motorcycle Dealer reported an increasing number of families are replacing the second car with a motorcycle. This was so easy to penetrate the traffic congestion during peak hours,” said the Office for National Statistics. In the survey, the institute found the fact if the motorbike and scooter fun when driven for travel time under 30 minutes. The pemotor assess their journey more pleasant than the other modes. The statistical agencies conduct surveys of the entire transport mode users who travel between 15-30 minutes. Pedestrians, bus passengers, or who drove the increased sense of irritation or anxiety. (source: liputan6.com) gfhjmlbnn, fncmc, cnncn, nm, cbncb mncnvnm ang tersumbang into the land of white elephants. Different things when Nmax bestselling can donate a bit of foreign exchange for Indonesia. 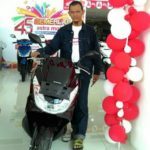 Honda PCX Laris Manis, Kapan Dilokalkan?